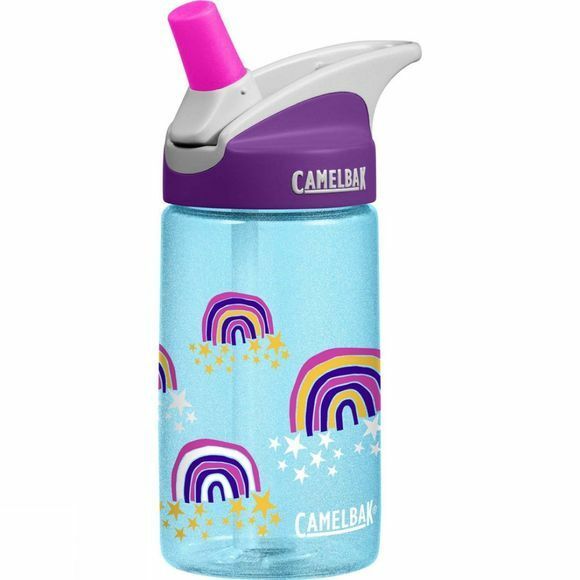 CamelBak's Eddy Bottle has made a name for itself as being convenient, spill-proof and virtually indestructable... making it perfect for kids. Made in the same safe, BPA-free Tritan material as the adult versions, the Kid's Eddy Bottle doesn't stain or retain tastes, but the bite valve has been modified to make it more kid-friendly. It flips open easily at the touch of a button, but is made with the valve and stem all-in-one to prevent being pulled off accidentally (though it can still be detached for cleaning). Kid sized, fun and easy to clean, the Kid's Eddy bottle is ready for adventure.